Comment: I would like to get an estimate for getting a wood roof with shingles over my exiting patio with no walls. Comment: Have concrete patio outside back door. 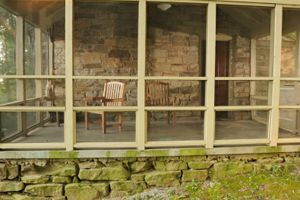 Want to build enclosed screen porch. Comment: We are wanting to add a media room in our home on the second floor. Comment: Extend concrete patio 6-8â, install gas grill and outdoor refrigerator, add pergola over grill/fridge. Comment: Replace tile in shower (may need some wood work). Tile to match shower on tub. Replace shower head and valve. Paint cabinets replace lighting and Mirror. Update water faucets. Keep toilet and tub and flooring. The Colony Addition & Remodeling Contractors are rated 4.65 out of 5 based on 839 reviews of 58 pros. Not Looking for Additions & Remodeling Contractors in The Colony, TX?